I read an article recently that brought back my memories of mobile phones that people used ten years ago. Unlike the whole industry in today which is dominated by the iPhone and all the phones are similar, there were so many different kinds of phones in the market before 2008. Slab, flip, slider, etc. Not only was the appearance ever-changing, but also the product positioning was various from game phones, multimedia phones, fashion phones, etc. Although some might complain that Apple keeps raising the price but lacks innovation, the iPhone is still king of the smartphones. I certainly wouldn&apos;t attribute the success of iPhone to its simple design. However, compared with other competitors, one of Apple&apos;s superiority lies in its ultimately simple product philosophy: as a consumer, you don&apos;t need to choose among diverse models. Also, you don&apos;t need to spend a lot of time and effort on learning how to use a smartphone. A simple product can help the user to achieve the goal efficiently. Most products in everyday life are used to help users achieve specific goals, such as a microwave oven is used for heating food and the pen is used for writing. Making the product simple will help the user to achieve their goals efficiently by saving time and efforts. A simple product can help the company to achieve the goal efficiently. Profitability is the primary goal of any company. Given limited resources, making the product simple will improve the company&apos;s operation efficiency by reducing unnecessary waste. For example, when building an app, rather than spending resources to create an attractive on-boarding guide to teach users how to use it step by step, you should consider simplifying the process first, in order to make it easy and intuitive to use. As simplicity meets both user&apos;s and company&apos;s pursuit of efficiency, I treat it as the core principle of product design*. *This is based on the fact that most products we use in our daily lives are tool products, efficiency is a critical indicator. However, simplicity is not the only pursuit of product design. I will talk a little about other considerations besides simplicity. If you are eager, feel free to move on to the last part - Simple, ain&apos;t enough. The two components of simplicity are precise user need and streamlined user flow. Selective. Find and select the need that is valuable to the users, and you have capabilities to meet well. Focused. The fewer needs you are trying to meet, the more potential the product has to be excellent. Only when the user need is precise enough can you make a product simple from the origin. Last year, a friend asked me for some feedback to his startup product. He started to envision the bright future from the very beginning of our talk: "we will build a service platform and create an ecosystem where people can get all kinds of info they need in daily life...". Not even one word mentioned about user needs and I couldn’t help thinking that isn&apos;t he the typical entrepreneur who "holds a hammer to find a nail"? Not to say the user needs are not precise, for their small team, such a vast platform is going to take a few years to build. Moreover, a platform more evolves from a vertical domain than being built all at once. For example, Amazon started by selling books and expanded to include more categories later on. Nowadays, when most of our needs can get met well by existing products, it is almost impossible to create a platform from scratch. Jacks of all trades, master of none. Nothing can be done well if you want to do everything. I never heard of his news again. I think he probably has given up already. When it comes to the precise user need, it includes discovering and prioritising needs. There are already many methodologies for discovery. I will focus on prioritisation this time. The granularities of need are different at various stages of product development. To make the product simple, designers should be able to prioritise the needs with different granularities at different stages. At this stage, the needs are more general. Prioritisation is mainly based on the potential of the target market and the value provided to the target users. Here are two important formulas. From the perspective that whether we should meet this need, we can refer to the market potential formula: Market potential = Market size × Frequency × Impact. Focus on the one that many people (large market size) often have (high frequency) and must get met (significant impact). The market with huge potential may have already been a red ocean, so it is necessary to think from the user value point of view. We can use the user value formula: User value = New experience - Past experience - Replacement costs. People&apos;s needs don&apos;t change too much over a long time. In fact, product innovation is more about using better methods to meet those needs. Usually, "better" equals more efficient. The need to select is the one that can bring higher user value. Which means that by meeting this need, the new experience provided to users is better than the experience offered by past products. What&apos;s more important is, there are replacement costs for users to shift to the new product. So the new experience needs to be greater than the sum of the past experience and a series of replacement costs, such as brand recognition, acquisition cost, learning cost, use cost, and social contacts cost, etc. The first-mover advantage is significant. After accumulating enough replacement costs, it is almost impossible for an opponent to challenge in the same dimension. However, on the other hand, innovation is also crucial. As long as it can provide users with an excellent experience, the high replacement costs are not a problem. If one market is already mature enough unless it is too big to occupy by one product, otherwise, it is a wise option to avoid competition and go try a blue ocean market. Being different rather than being better. As a comparison with the new experience, the past experience does not have to be the horizontal experience. It can be a vertical experience. So you can aim at a specific segment as a breakthrough. It&apos;s not necessary to build up your constitution on one mouthful; A blue ocean market sometimes hides inside of a red ocean market. After the product conception, it comes to the process of building the Minimum Viable Product (MVP). According to the user value formula, the MVP should offer a user experience that is relatively good to a certain extent. Otherwise, it&apos;s just a temporary gimmick, hard to be sustainable. As a startup usually has limited resources, when creating an MVP, compared with "what we should do", it is more difficult to decide "what&apos;s a higher priority?" and "to what extent". It comes down to deciding which needs must get met, which have a lower priority and to what extent we should meet. On the one hand, we can&apos;t only select those that are easy to implement, missing the key ones. On the other hand, we shouldn&apos;t overrate them and waste resources. We need to make sure the experience offered by the MVP is better than the one provided by the existing products, so that the target users can have an internal drive to continue using it, not relying on external drives such as subsidies. MVP, shouldn’t just be "minimum", it needs to be "viable" as well. We can use the Kano model to help us analyse and prioritise the needs. The Kano model is a theory for product development and customer satisfaction developed in the 1980s by Professor Noriaki Kano. Although the inventor Professor Kakuno has nothing to do with the Internet industry, the Kano model is now widely used in product design because it is well suited for needs analysis. Basic Attributes: These are the requirements that must be included and the price of entry into a market. When they are done well, customers are just neutral, but when they are done poorly, customers are very dissatisfied. One-dimensional Attributes: These are attributes that are spoken and the ones in which companies compete. These attributes result in satisfaction when fulfilled and dissatisfaction when not fulfilled. Delight Attributes: These are attributes that are generally not expected. These attributes provide satisfaction when achieved fully, but do not cause dissatisfaction when not fulfilled. Indifferent Attributes: These attributes refer to aspects that are neither good nor bad, and they do not result in either customer satisfaction or customer dissatisfaction. Reverse Attributes: These attributes refer to a high degree of achievement resulting in dissatisfaction and to the fact that not all customers are alike. Take the iPhone as an example, Steve Jobs described it as Phone + iPod + Internet. The phone is a basic attribute that should be included as a mobile phone. Regarding this attribute, iPhone can&apos;t be worse than the mobile phone at that time, but it doesn&apos;t have to be much better, because even if it performs very well, users won&apos;t feel it. The iPod is a one-dimensional attribute. In those days, many products focused on multimedia phones, so the iPhone not only needs to meet this need but also has to do better than the many other mobile phones. The Internet is a delight attribute that exceeds the users&apos; expectations of the day. It is also the key to Apple&apos;s ecology and differentiation innovation. Despite that the iPhone didn&apos;t include some "basic attributes" such as replacing the battery and having a long standby time. However, because it has implemented the one-dimension and delight attributes well enough, the overall user value provided is so much greater than the replacement costs. That&apos;s also why Jobs was a great product designer. He can sensitively identify that some "basic attributes" such as replacing batteries are actually indifferent attributes. They&apos;re not what users really need, should be abandoned affirmatively. Deciding to implement those delight attributes rather than wasting resources in indifferent attributes, that&apos;s what has made iPhone become an innovative product. Looking at today&apos;s mobile phones, replacing the battery has become a reverse attribute. Although customers still expect long standby time, they will not discard the iPhone. Instead, they use power bank to meet this need. To help understand the differences among these attributes, we can separate them by two dimensions: users need it or not, users are aware of or not. Note here is need instead of want. What users want, is not necessarily what they need. For example, we mentioned above that users don&apos;t really need to replace the battery on mobile phones. It&apos;s an indifferent attribute. The difference between a one-dimensional attribute and a basic attribute is that the better a one-dimensional attribute is implemented, the more satisfied a user will be. So a one-dimensional attribute should be achieved as well as possible. For a basic attribute, if you meet the standards and don’t pursue perfection, users won’t feel satisfied by it. The entry-level quality of product designer is to understand the users, understand what they need and what they don&apos;t. There are two superior qualities. One is to think from the "God view", can sensitively find those delight attributes that users are not aware of. The other is to categorise different levels of need. Prioritising and making rational decisions about what to do, how many, and to what extent, to improve the efficiency of product development. These attributes are not static and will change dynamically with people&apos;s mindsets, technology evolution and market competition. The past delight attribute may become the current one-dimensional attribute, the previous one-dimensional attribute may become the current basic attribute, and the previous indifferent attribute may also become the current delight attribute. For example, web responsive design. It was an indifferent attribute more than a decade ago. Seven or eight years ago, it was a delight attribute. And it became one-dimensional attribute four or five years ago. Now it is a basic attribute. On the one hand, I have to exclaim that it&apos;s not easy to stand on the shoulders of giants. It&apos;s hard for the one who starts late to survive. On the other hand, it makes sense that it&apos;s critical to respond to the changes. A delight attribute of your product is a basic attribute of mine. There are more than 100 colours in a Hermès crocodile leather Birkin bag. Whereas, in MUJI, black, white and grey are the most common colours. An indifferent attribute of your product is a delight attribute of mine. The MagSafe magnetic charger on MacBook has significantly reduced the risk of a laptop being dragged and dropped to the ground. Users won&apos;t feel satisfied even if basic attributes are implemented well enough. So when you have invested many resources in fulfilling a need, but the feedback is not reasonably positive, it&apos;s not because the need is not essential that you should stop spending more resources. On the contrary, it is possible that this is a basic attribute, not a one-dimensional attribute. So it would better if you continued implementing it until it meets the standards. You also need to pivot to some one-dimensional attributes or delight attributes. When prioritising, the principle is to cut reverse attributes and indifferent attributes. Basic attributes must be included*. For one-dimensional and delight attributes, how many to implement, and to what extent, it depends on the strategic planning, competitors status, and own resources. Overall, the experience MVP offers needs to be greater or at least equal to the sum of the past experience and replacement costs. 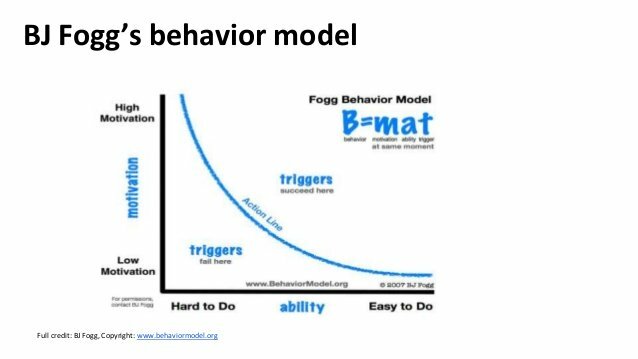 Misjudging the basic attributes, and treating those basic attributes of non-target users or the indifferent attributes of target users as basic attributes. It&apos;s miserable and needs to stop right away. The product has accumulated substantial replacement costs. When people found the iPhone 4 antenna problems, although Apple didn&apos;t lose its market position as a result of its accumulated innovation advantages, brand reputation and user habits, it was still terrible damage for them. After the product is released, we will collect needs and requirements from different aspects, including direct feedback from users, user research, data analysis, boss&apos;s idea, colleagues&apos; idea, your idea, etc. In fact, ideas are very cheap, let alone designers or programmers who personally build the product, even if a stranger on the street can give you many ideas. As a designer, the most important thing is not to come up with ideas, but to come up with good ones and prioritise them rationally. When faced with a bunch of so-called "needs" or "requirements" from all sides, we shouldn&apos;t accept all of them or make casual decisions. The correct way is understanding, grouping, verifying, and prioritising. Understanding. One of the most basic qualities of a designer is to understand the need. The need is not a solution, but a problem. When faced with a bunch of "needs" that are mixed with problems and solutions, the first thing is to split and revert the solutions to problems. Then ask a few "why"s to uncover the root of the problem. Grouping. Group the restored problems. Usually, many ideas solve the same problem. Verifying. Verify the actual scenarios of the problems appropriately according to the understanding of problems, users, and the progress of the project. Some methods could be desktop research, competitive analysis, data analysis, and user interviews. In fact, this step may have been completed already when collecting the needs. Prioritising. 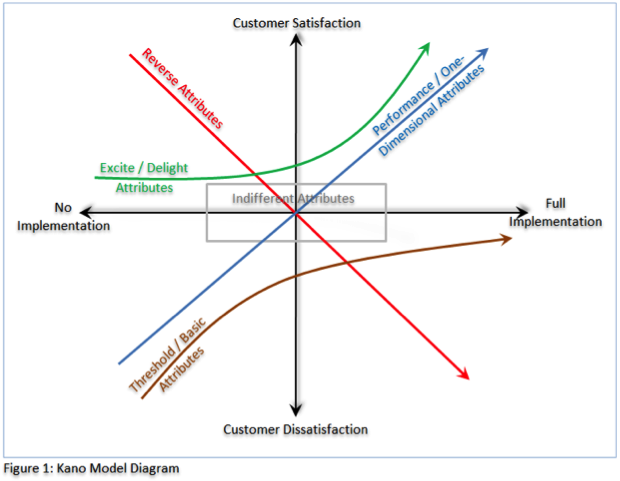 Use the Kano model mentioned earlier to categorise the needs into different five categories. The difference here is that the business needs will increase at this stage, while we mainly focus on user needs in the MVP phase. Most business needs are consistent with user needs, after all, the user experience is paramount. However, there are also some business needs belong to the indifferent and reverse attributes. Because it is different from the MVP stage, the goal is not to maximise user value with limited resources only. We also need to maximise business value. Therefore, we need to include basic needs. For one-dimensional and delight attributes, it still depends on the strategic planning, competitors status, and own resources to decide how much to implement and to what extent. For reverse and indifferent attributes, if there is no business value, still discard them as the same. If there is business value, stick to the dignity as a user spokesman, reject the reverse attributes as much as possible. Select a few indifferent attributes. After all, the company has to sustain. It&apos;s mainly about prioritising the needs above. When it comes to the solution space, to make the product simple, the key is to make user flow streamlined. Streamlined user flow can help users achieve their goals without thinking. Motivation. The person must have the will to do it. Ability. It should be easy enough so that the person has the ability to do it. Trigger. You need to remind the person to do it. The reminder works only if the first two requirements get met. If a person has no intention at all, the advertisement you post will be spam. If they are willing to do it, but the flow is too complicated, then they won&apos;t bother continuing and will just give up. It&apos;s hard to change someone&apos;s willingness, and it&apos;s not feasible to create a non-existing need. As a product designer, you should focus on serving those who need your product and streamlining the flow, so that they can easily achieve their goals. There are three main points to streamline the flow: simplifying user journey, optimising usability, and reducing cognitive loads. 1. Simplifying user journey is to make the flow short. Automatic processing. On WeChat, after the user has entered the password, the payment request can be automatically sent without pressing the confirmation button on the keyboard. Set frequently used options to default. On Amazon, you can set the default shipping address, so you don&apos;t have to re-enter it each time. Undo instead of prompting for confirmation. Provide an undo action when sending a message instead of asking for approval every time. Remove extra paths. In the same scenario, do not provide two different flows to achieve the same goal. Provide shortcuts. On Android, users can pull down the panel to turn on the mobile data. While on the previous iOS, you have to go to settings to turn it on. Give status feedback. There&apos;s an underline for text when hovering on a link. Within a reasonable range, make the main actionable elements as large as possible. Typical actionable elements like CTA, the size must comply with industry regulations. Offer options instead of typing. Instead of presenting users a blank text area, try to give options that they can select directly. Delete. Delete any unnecessary, unreasonable information. Organise. Group similar, related information. Hide. Hide useful but not critical information and provide an entry for the user to find out more. Prevent errors. Use real-time validation to give users timely feedback. Help. Provide users with appropriate assistance and tips. Consistent. The presentation of information should be as consistent as possible, including copywriting, components, styles, etc. For most products, being simple is already good enough, especially when it grows, staying simple is not easy. However, we should note that in addition to helping users achieve their goals efficiently, designers also need to consider some emotional needs. Taking the payment scenario as an example, users will worry about whether they have successfully paid the money. In this case, efficiency is not that important. So even though the system can immediately make the transaction, before jumping to the different new page, we should inform users that they have completed the payment. It will make them feel more secure. Efficiency is important, but extreme simplicity can make users feel tedious. We can try to add some personalities to the product at the right time. It will make the product more adorable. For example, on Dropbox paper, users can insert some interesting emojis when adding comments. It is in line with the online chatting habits of people nowadays, which considerably increases the fun of collaboration. All the above are about tool products with clear user goals. For some service products, especially those involved offline scenarios, customers usually would rather enjoy the experience of quality services than seek to achieve goals efficiently. In that case, what we should focus on is not to make the service as simple or efficient as possible, but to enhance some momentary experience. In "Strong Moments", the Heath brothers pointed out that people&apos;s feelings about an experience come from the impression of a few key moments, not from long, long details. As a business, you don&apos;t have to be considerate about everything to satisfy your customers. The only thing to achieve is "mostly forgettable and occasionally remarkable": Most of the services can be just so-so, neither too bad nor too good. Only make the experience at a few key moments extraordinary. IKEA offers the customer an ice cream cone for only $1 at the exit. It will leave customers with a good impression at the end of shopping. In this way, even if there are some bad experiences during the shopping process, such as moving goods from the shelves, long queues, etc. Customers will still feel satisfied when they recall the shopping experience. For entertainment products, such as games, movies, etc., users don’t have any clear goals at all. What they pursue are not efficiencies, but feelings, emotions, etc. In this case, simplicity will make users lose the fun. So on the contrary, adding some certain degrees of complexity and setting some challenges will give users immersive experience. Therefore, for tool products, designers need to take care of emotional needs while pursuing simplicity. For service products, it is important to pay attention to a few key moments. For entertainment products, on the contrary, consider adding some complexity to deliver an immersive experience. In conclusion, simplicity is the core design principle for most efficiency-driven products. I hope that within the controllable scope, product designers can aim at making the product simpler, to help the users, the company, and yourself improve efficiency.